Not Getting Results? This Is Most Likely Why. Today’s post is a guest post by my Poliquin colleague Francine Savard of ProActif Fitness. Francine is a Canadian strength coach (among many other things), and her specialty is helping get women lean and ready for fitness comps! She is one of the world’s most highly acclaimed in this tricky area. 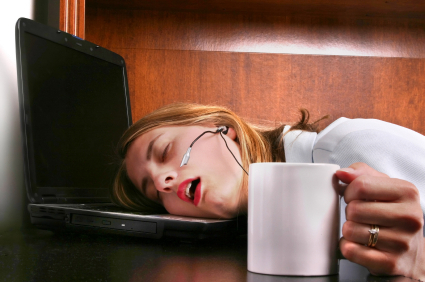 One of the most overlooked problems when it comes to weight loss is sleep deprivation or poor sleep. Rest is also often overlooked by some coaches and athletes as well; you need to rest in order to recover in order to perform and this can impact all aspects of your life. So, if you feel like you are pretty much doing everything right when it comes to your nutrition and your training (and even if you’re not! ), and yet you’re still not meeting your health and fat loss goals, here are a few quick tips to blast you through those plateaus. Get rid of bad electricity; unplug your cell phone, clocks, or other electronics. Sleep in the dark – pitch dark! Francine is a Poliquin PICP and Biosignature coach, and has been referred to by Charles Poliquin as one of the finest coaches in Canada. With a background in the Canadian Armed Forces and as a sponsored athlete, Francine knows what it takes to get results. She specialises in training women to compete in bodybuilding and body sculpting, and she is an expert at getting women lean – and fast! Visit Francine over at her website Proactif Fitness. Do you have any tips of your own for sound sleep? Or perhaps you’ve noticed a change in your ability to lose fat and function at your best since changing your sleep habits? If so, please share in the comments! Do You Know This Killer Tip For Fat Loss? Apple Crumble – Throw ingredients in a blender & enjoy! That sounds amazing Mal; great tip!